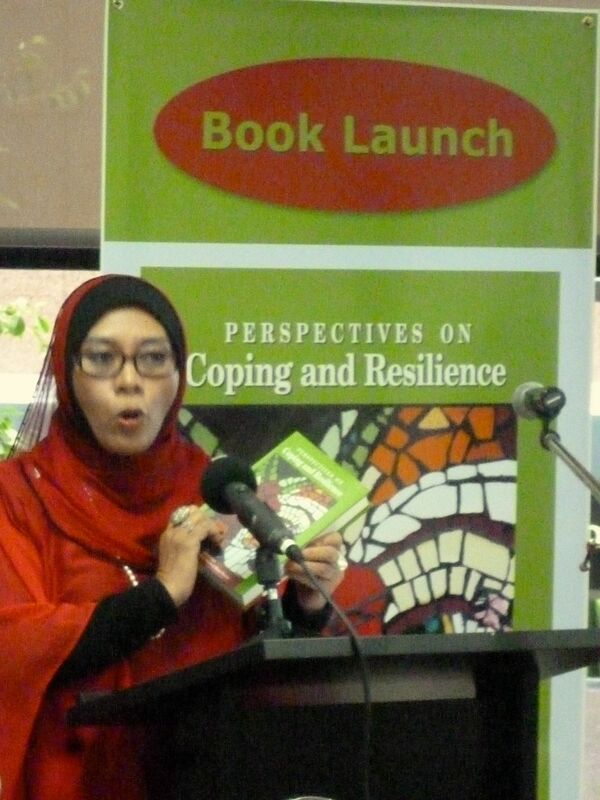 The book was launched in Sydney on 6 February, 2013. It was a terrific day with some authors giving talks about their various perspectives on coping and resilience, plus a great opportunity to discuss and share ideas with eachother and other interested people. Read my paper on the blog page “The Un’not’ting”. You can read my Chapter : Out of the Shadows, Into the light Out of the Shadows into the Light. Anne Riggs. “In the beginning I was asked if I minded if my work could be used with the publishing of a book, the fact that it would be on the cover didn’t kind of sink in. Later I was sent the proofs via email, I was still not believing. Then an email arrived with the book being held up by authors, contributors of the book and my teacher Anne who was involved with the artwork and production of this book. Her pride and satisfaction/joy shone and with that I was struck with how my work was actually on the cover. Shock, humbled, humility, joy, floored (as in fallen on the floor) is some of the descriptions of how I felt. Since then, reflecting about my art being on the cover of a book, and a calendar is just overwhelming in itself. But what it has given me is a new perspective of my own capabilities and how to face what lies beneath and within. The process of creating this art I have loved, we were in a space that was a delving into, a trust, an endeavour led by Anne that was sometimes difficult but it has brought about new friendships that I treasure, and new confidences and trust with other people, and myself. Seeing the goodwill and joy friends showed toward me at seeing the covers gave me a sense of accomplishment and pride (something I haven’t felt since a high school project in year 8 or 9) that others might appreciate and look at this art and it speak to them, to make them feel, to reflect. I am resilient to my broken past and can become something else, better, stronger and can become open in new ways and with a medium to express that which can’t be spoken. It has given me a hope, and the notion of new possibilities. I was absolutely thrilled at seeing the photos of the book cover at the launch and so happy at the acknowledgement of my work and the responses from friends and family. 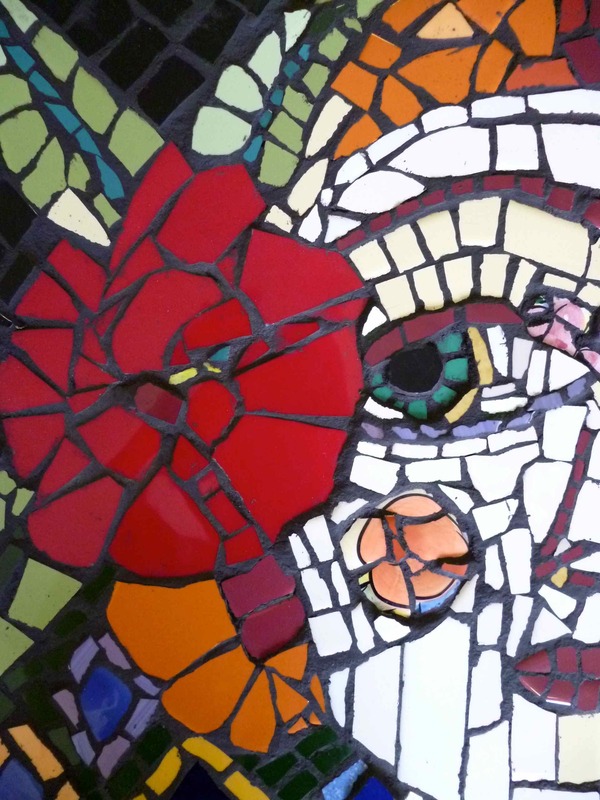 The image of the girl keeping her eye on the flower, on beauty to cope, so as to mask her hardship, pain, dread and denial, using the flower as a distraction so as to cope. Then, to keeping the goals of life, beauty and healing in focus and perspective. Resilient and strong and creative. “Resiliency appears to come naturally once some of your primal thoughts and conceptualizations about trauma are officially documented. It feels as though a massive struggle of low self worth can finally be laid to rest. Not everyone is given the opportunity to ensure that the perpetrator is “put away” by the criminal justice system SO public acknowledgement is without doubt the next best thing”. See a video on SECASAgroups.blogspot.com with both women talking about their participation.